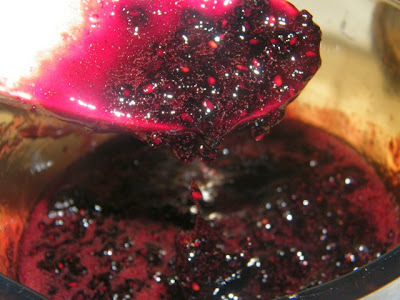 Mulberries grow in my hometown in the Philippines but it's not that abundant. In fact, I only know of two trees in existence. And they are such delicate berries that you don't see much of these in the market. On the other hand, mulberries are accessible here, not from the farm but rather from the supermarket! Although I suspect fresh mulberries can be picked from a nearby farm too. We bought a bag of mulberries to make some gelatin desserts and muffins but found out there's still a couple of cups left over. So I decided to make some jam! 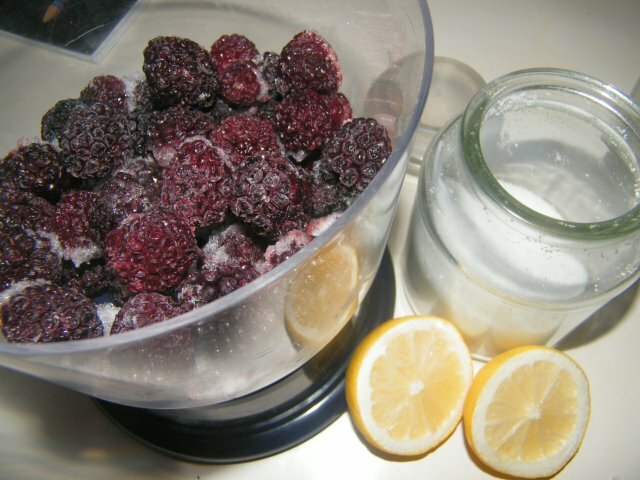 In place of pectin (which I could not find), I used fresh lemon juice + zest. 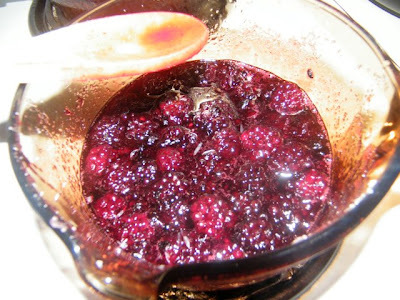 Place mulberries in thick-bottomed pot and add sugar and lemon (juice + zest). Mix over low heat until sugar is dissolved. Increase heat to medium, then boil for 10 minutes, mixing occasionally. Skim off any foam that appears, then dab a bit onto the cold plate. It would have sufficiently thickened by now. 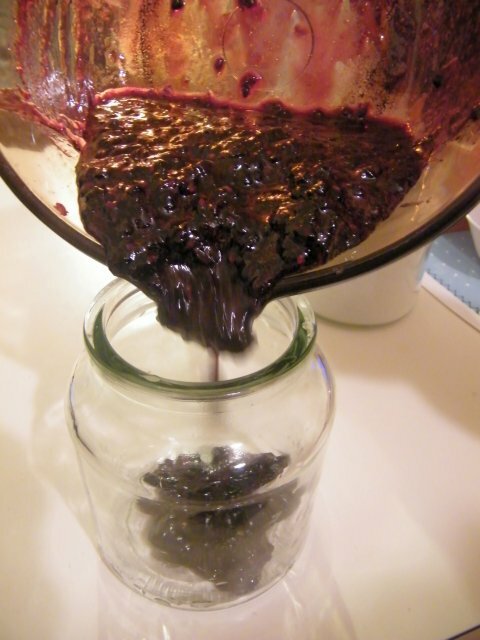 Pour into jar and set aside to cool.